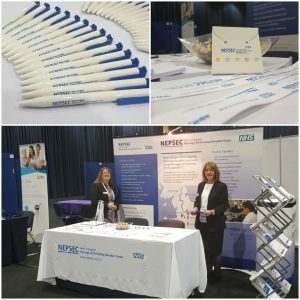 NEPSEC were proud to be represented at the recent BSCCP Conference in Manchester. Our stand provided an opportunity for prospective trainees to ask about our courses face-to-face, as well as allowing us to connect with colleagues from other areas of the country. Many thanks to the BSCCP for hosting another excellent event. The NEPSEC training centre welcomes Amy Harris as our new Administration Assistant based at Wakefield. Amy joins us from a background in the National Breast Screening Programme in Kent and is looking forward to becoming a valuable part of the NEPSEC team. 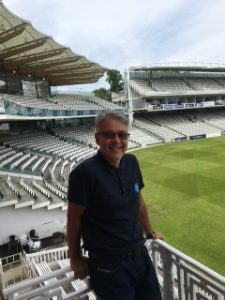 Nick Dudding – Former Training Centre Manager is enjoying his leaving gift at Lord’s Cricket ground, he expresses his thanks to everyone who contributed.